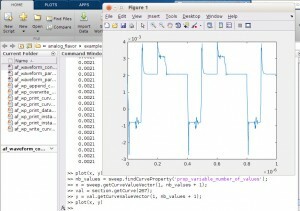 Only a few function calls are required to plot your Spice simulation results in Matlab. 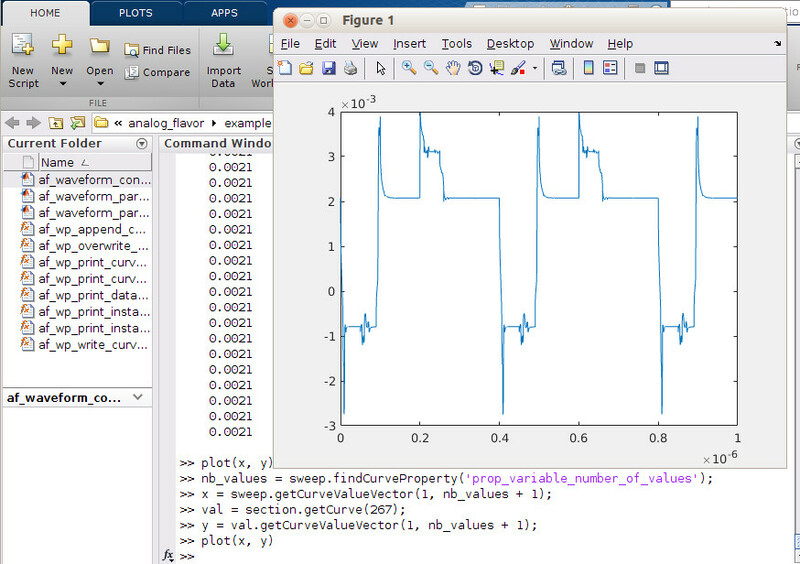 Matlab and it’s various toolboxes offer great possibilities to work with large numerical data sets. These possibilities are extensively used by designers for analyzing Spice simulation results. BeSpice Wave Parser, our waveform parser library is available as Matlab toolbox with the complete functionality of the C/C++ interface. This allows engineers to directly access and read the files generated by Spice simulators from Matlab. No format conversions. are required. Many different binary and ASCII file formats such as PSF, PSFXL, … are supported. The files can be read and re-read while the simulation is still in progress. BeSpice Wave Parser is available on Linux, Windows and OsX. Our Matlab interface is also distributed as source code and can be recompiled if compatibility issues occur. This allows to use the same framework from the open source numerical computing environment Octave. We provide a set of examples that presents the complete functionality. Contact our sales using the below form for a fully featured 2 months evaluation version. one interface for all supported waveform formats. fast integration due to a rich set of examples and object-oriented wrappers around the standard toolbox functions. even faster integration by using our conversion tool to generate Matlab compatible files from Spice output. migrating to C/C++, Python or Tcl is easy. tailored and modifiable licensing schemes. fast and low memory requirements. many supported waveform formats. The full list is available here. provided with a rich set of examples. also available with for C/C++, Python and Tcl/Tk with identical functionality and a similar API. tailored licensing schemes for individual use, research, development and distribution. we provide services for extending the functionality or help with integration. 2 month evaluation version on demand. use our standalone viewer BeSpice Wave to simplify debugging. general information on BeSpice Wave Parser. our standalone tool BeSpice Wave. our conversion tool BeSpice Wave Conversion Tool allows a quick start. Don’t hesitate to attach an example file if you have questions concerning a particular file type.